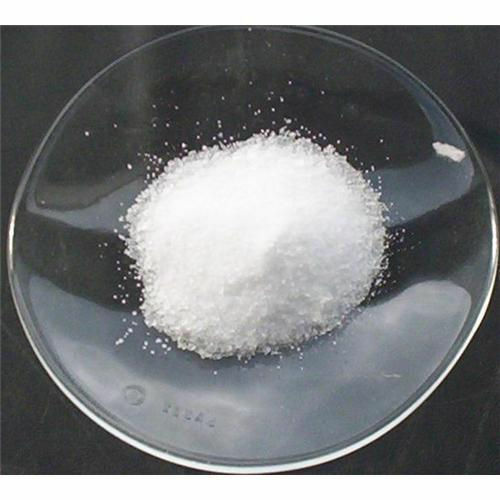 We supply superior quality 4-amino 6-chlporo 1 , 3 benzendisulfonamide. Impeccably manufactured to perfection, our inorganic compounds are widely used in diverse industries. These Chemicals have gained a name for themselves in the market today. We supply superior quality 4-amino 6-chlporo 1 ,3 benzendisulfonamide. Impeccably manufactured to perfection, our inorganic compounds are widely used in diverse industries. These Chemicals have gained a name for themselves in the market today. Since our outset in 1988, Sajan Overseas Private Limited have emerged as reliable exporter, manufacturer and supplier of variety of Industrial Chemicals. Being an ISO 9001:2008 firm, we provide quality range of chemicals which includes Metallic Salts, Tungsten Salts and Nickel Salts. Our offered chemicals are well appreciated among our clients for high effectiveness, purity, definite chemical proportion and longer shelf life attributes. These chemicals are formulated using premium quality chemicals with cutting edge technology following every industrial norm. Furthermore, we supply these chemicals in seal proof packaging at reasonable price range for our customers. With the aid of our modern infrastructure system, we have been able to fulfill the variegated demands of our customers with ease. We have always been supported by our diligent professionals for processing wide range of chemicals. Moreover, skilled business virtues of our team have gathered us vast customer base in Indian subcontinent and European countries with Vexent Dyeaux India Pvt. Ltd, Gujarat, Nova Chemicals, Mumbai, and Ornat Dyestuff Gujarat as some of our key customers. Plot No. 3408-A-B, Phase 4, G. I. D. C.